The expression of the NKX2–1 gene and its encoded protein, thyroid transcription factor 1 (TTF-1), plays a role in pulmonary surfactant homeostasis and lung development. NKX2–1 mutations have been associated with neonatal respiratory distress, hypotonia, choreoathetosis and congenital hypothyroidism. These clinical findings have been coined brain–lung–thyroid syndrome, although not all three organs are always involved. 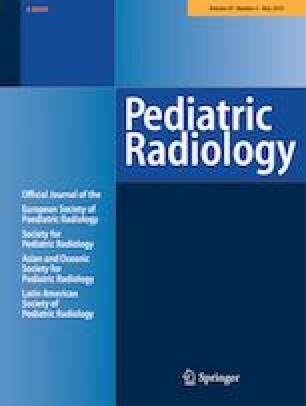 While many of these children develop interstitial lung disease, no systematic review of chest high-resolution CT (HRCT) findings has been reported. To summarize the clinical presentations, pathology and HRCT imaging findings of children with NKX2–1 mutations. We identified six children with NKX2–1 mutations, deletions or duplications confirmed via genetic testing at our institution. 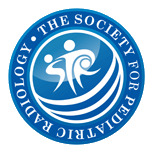 Three pediatric radiologists reviewed the children’s HRCT imaging findings and ranked the dominant findings in order of prevalence via consensus. We then correlated the imaging findings with histopathology and clinical course. All children in the study were heterozygous for NKX2–1 mutations, deletions or duplications. Ground-glass opacities were the most common imaging feature, present in all but one child. Consolidation was also a prevalent finding in 4/6 of the children. Architectural distortion was less common. HRCT findings of TTF-1 deficiency are heterogeneous and evolve over time. There is significant overlap between the HRCT findings of TTF-1 deficiency, other surfactant dysfunction mutations, and pulmonary interstitial glycogenosis. TTF-1 deficiency should be considered in term infants presenting with interstitial lung disease, especially if hypotonia or hypothyroidism is present.